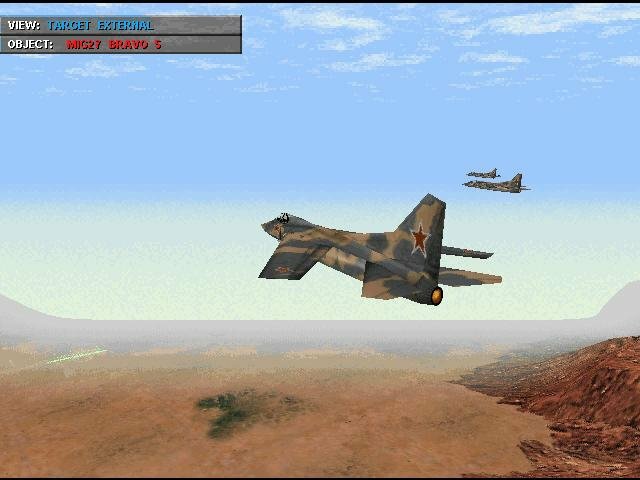 NovaLogic’s F-22 Lightning II was often criticized for being too simple. 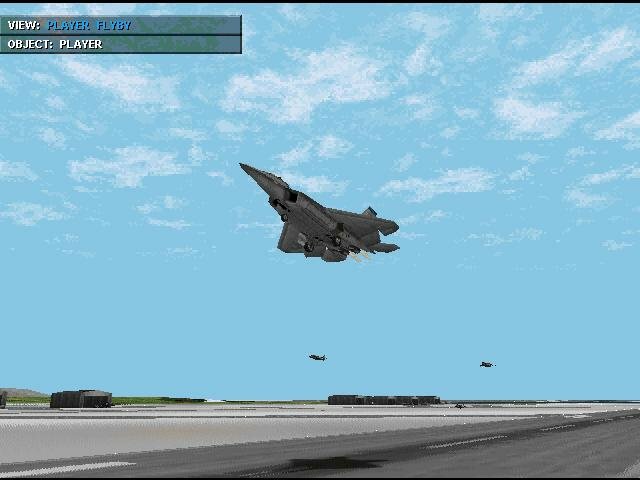 After listening to those criticisms, the guys eagerly went back to the drawing board and the result is F-22 Raptor, a more realistic simulation of the famous stealth plane. 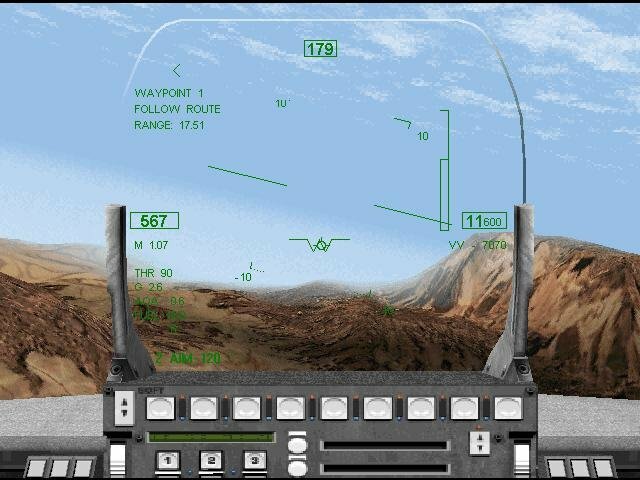 With a more detailed representation of the F-22, dynamic campaigns and stronger graphics, this product takes a big step towards the heavyweights of late 90s flight simulations. 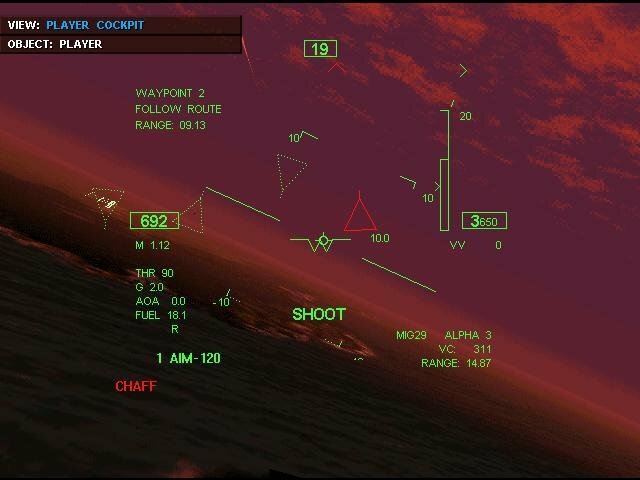 It’s only the absence of several key features keeping it from contending, but for the occasional flyer or beginner this an approachable sim nonetheless. 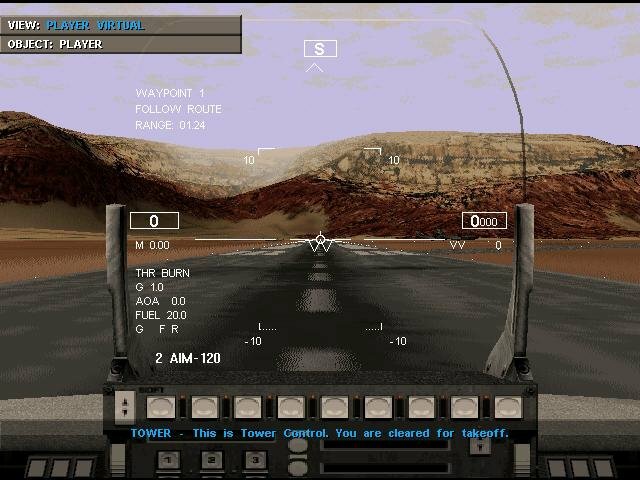 Using its first native Windows 95 engine, NovaLogic gives some of the best non-accelerated graphics on the market, rivaling some of those products that do run using 3D hardware mode from the same period. 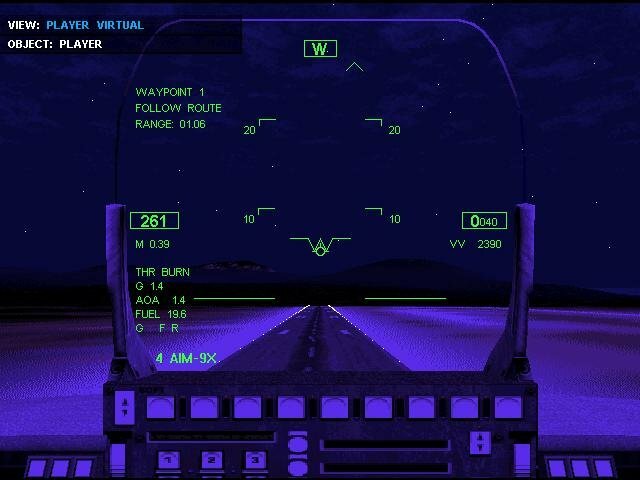 The frame rates are smooth and all the expected views are available, including a virtual cockpit and a padlock view. 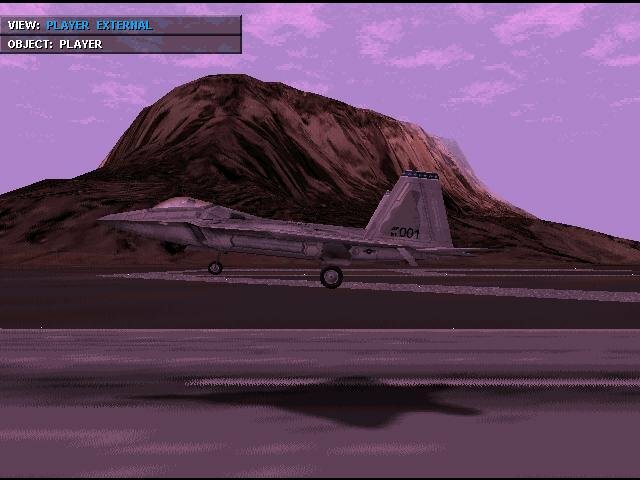 The terrain and skies look nice, and planes and ground objects are well-detailed and modeled (but with that subtle tearing effect familiar to these sort of games). 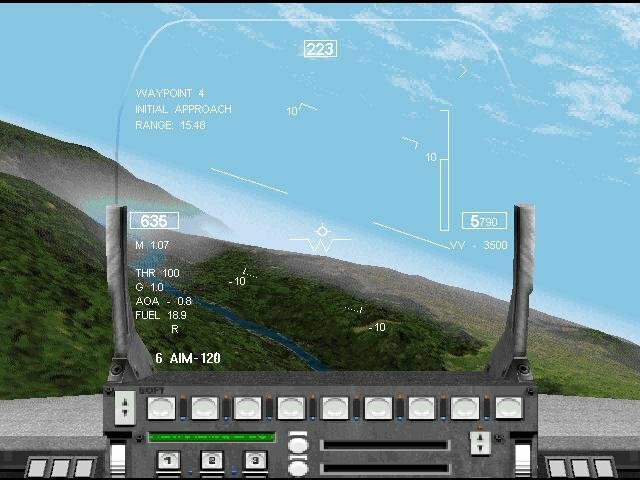 The controls are easy to learn, with simple training missions to help you learn the basics and a group of quick missions to hone your skills. 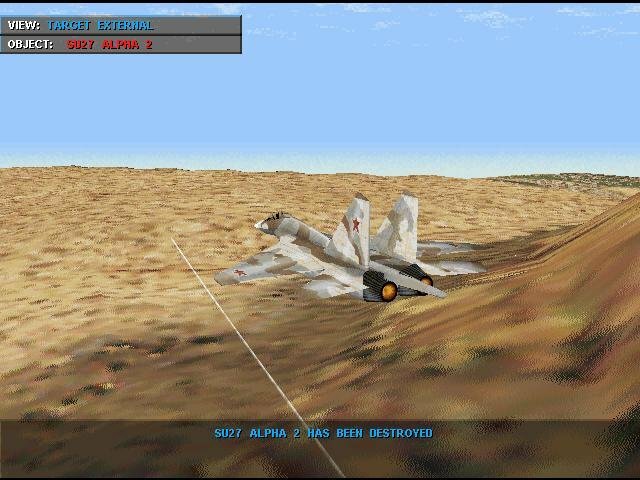 Though the overall design is similar to the original Lightning II, many new features have been included to make this more realistic. 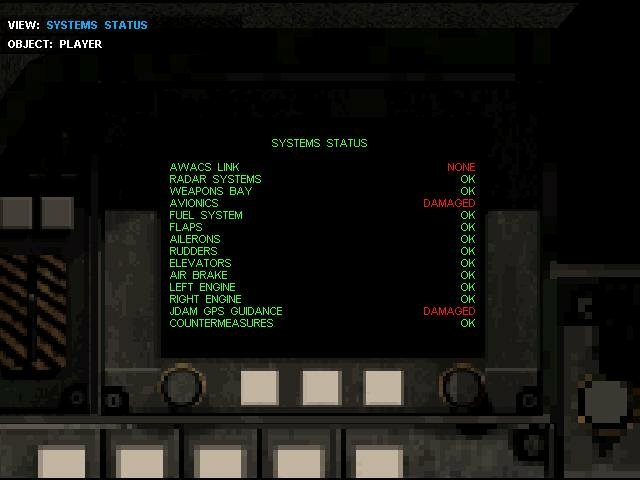 Damage is portrayed on a System Status screen and can affect instrumentation and flight operations. 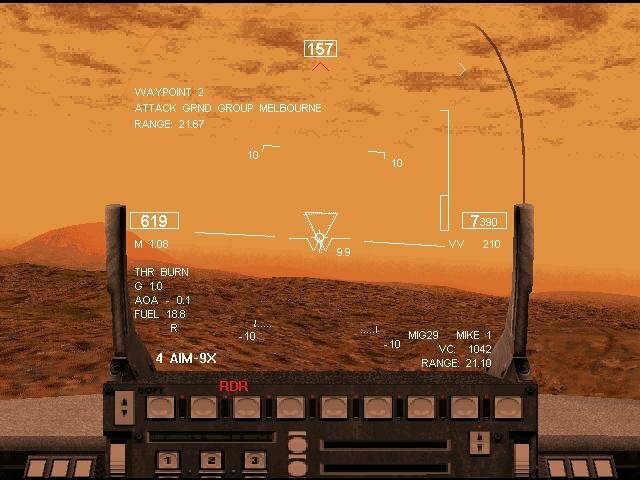 Defense, Navigation and Attack MFDs are also included and can be used to help plan attack and defense strategies. 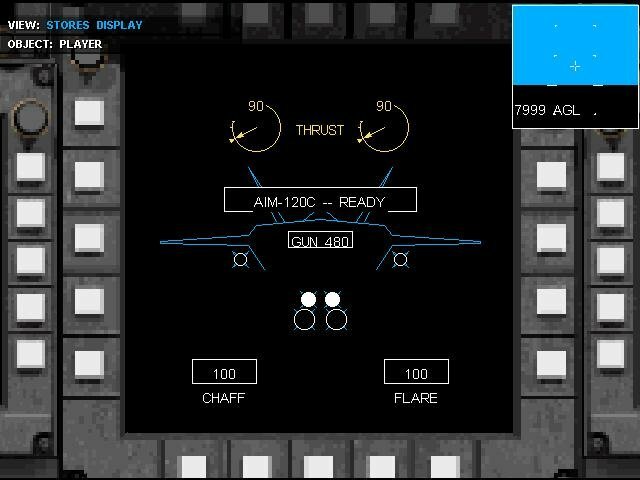 Blackouts, redouts and stalls now affect the performance of the pilot and the plane. The campaigns have undergone a major change, with five dynamic campaigns replacing the old canned missions. 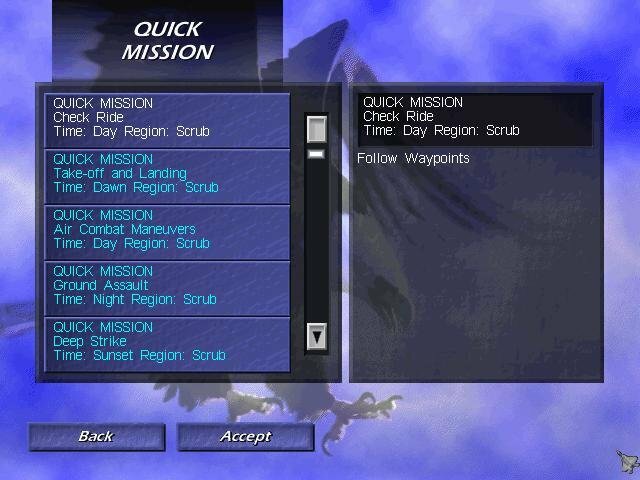 Mission outcomes affect the future and improve the campaigns’ continuity. 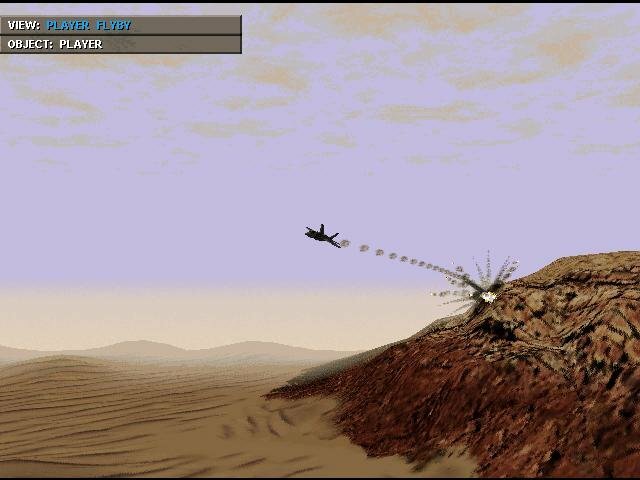 Examples: a careless mission can lead to shortages of weapons, while a successful one can knock out defenses, making it easier to attack nearby targets later on. 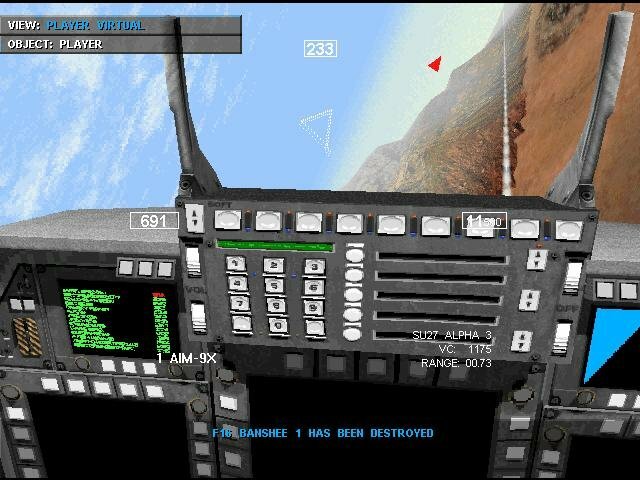 Most individual missions are moderately difficult and the enemy pilots can be a little stupid at times, often not firing missiles when opportunities are available. While the added realism is a boost, it doesn’t go far enough. 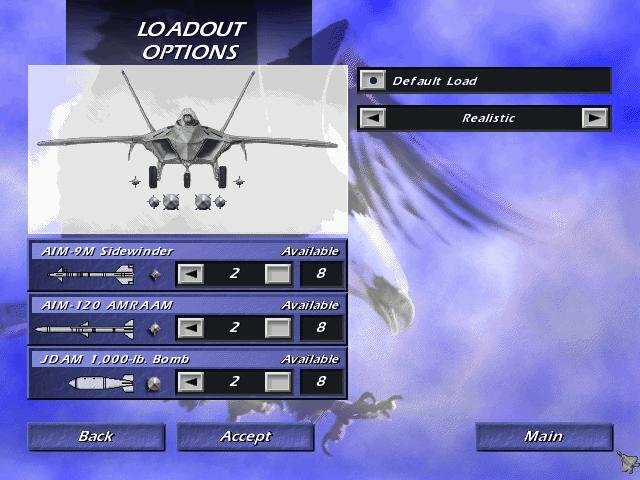 Weapon loadouts are vastly oversimplified, with only three weapons besides the cannon available. 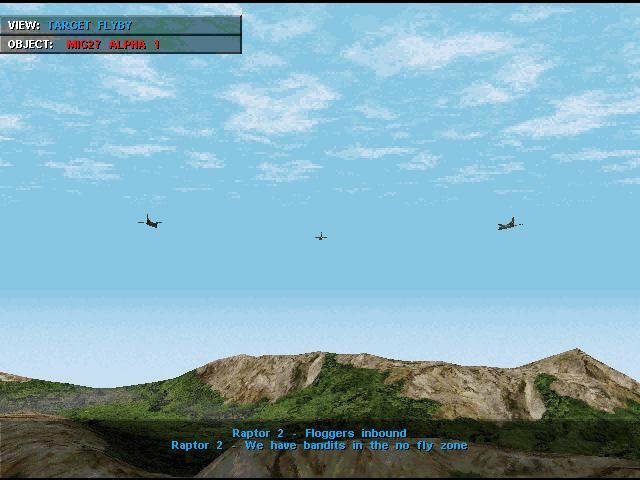 Wingmen are available but are generally limited in their capabilities. 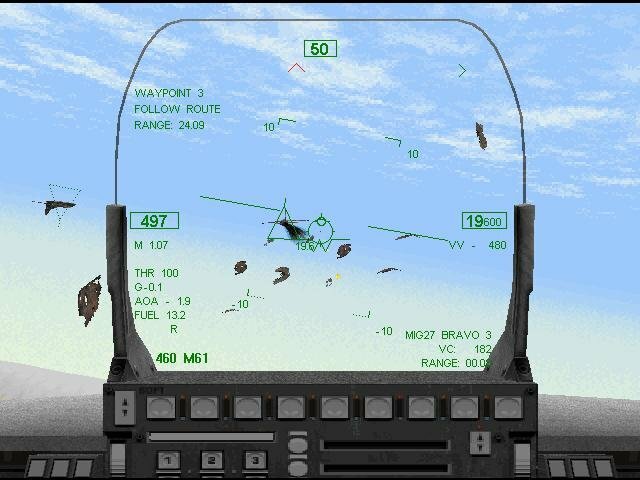 Overall, NovaLogic has done a good job with this product, and it is heartily recommended to anyone from beginners to multiplayer air combat fans. 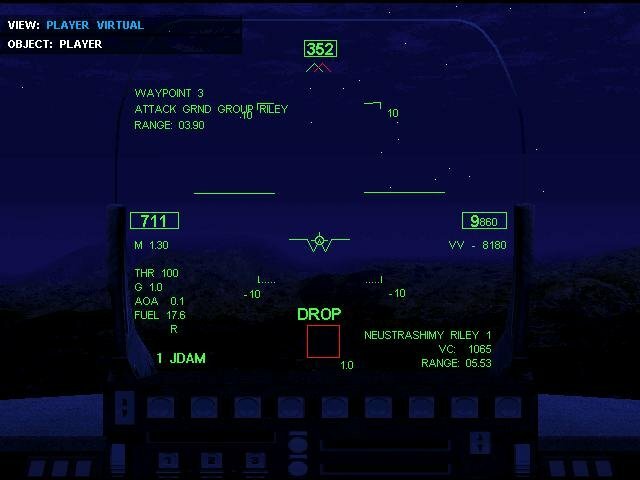 i am having troubles installing the F-22 raptor game by Novalogic. I have downloaded it from this site and then successfully mounted it in a virtual drive. I open the setup file and its starting window pops up. Obviously, I have to install it first. When I click install, nothing happens. I’ve checked everywhere. I ran compatability mode and tried all sorts of small fixes, but I haven’t found a solution. Where is crack,it’s asking for CD. Mount the CD and play the game. is this archive.org full games link free and legal version if this game abondonware why other nobalogic games not on archive.org ı dont understand. If it’s on https://archive.org/ and it’s not removed, then nobody really cares about it = abandonware. That’s my guess. is this full version ? or demo ? This is a great game and it’s very easy to avoid getting hit if you have a little bit of brains. 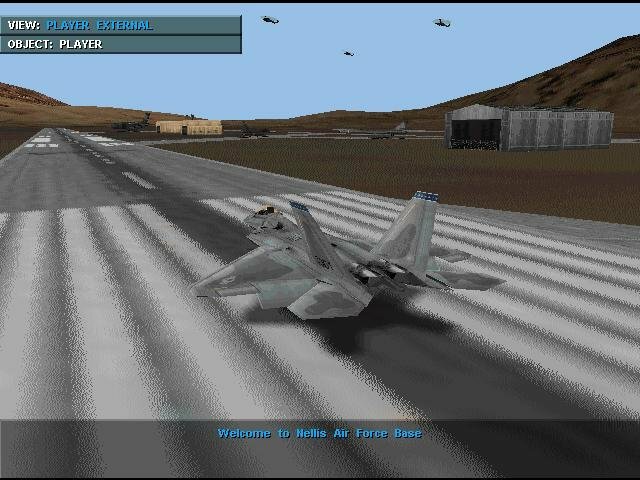 Really easy to play and the best part is that the game goes from the takeoff to the llanding in every mission (if you want). However, I have an issue with the game. I can’t get the external view of my plane ig the game. I tried uninstalling it and re-installing it but nothing has changed so far. Any suggestions? where is crack file how to find it, its asks for CD Rom……………? 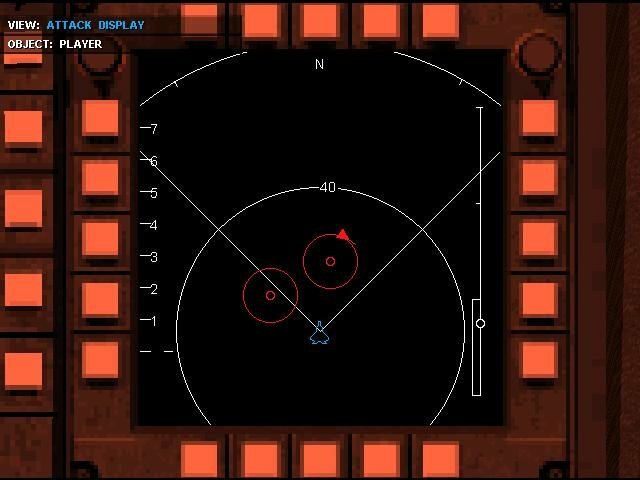 @Leonardo : Try toggling the camera by either C or V several times. You would have the external view. 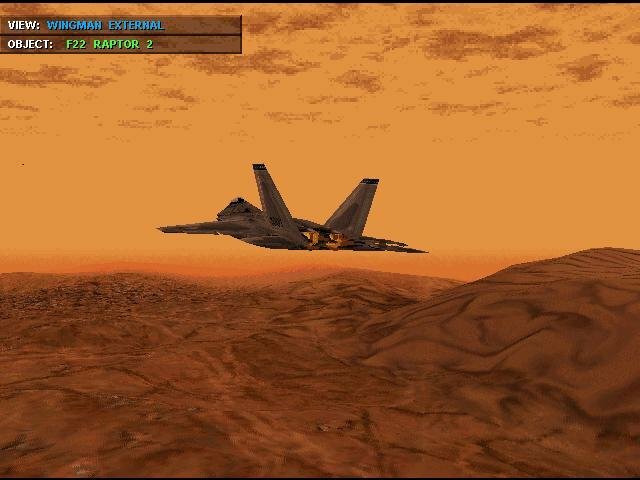 OPCG, did you play Raptor: Call of the Shadows?